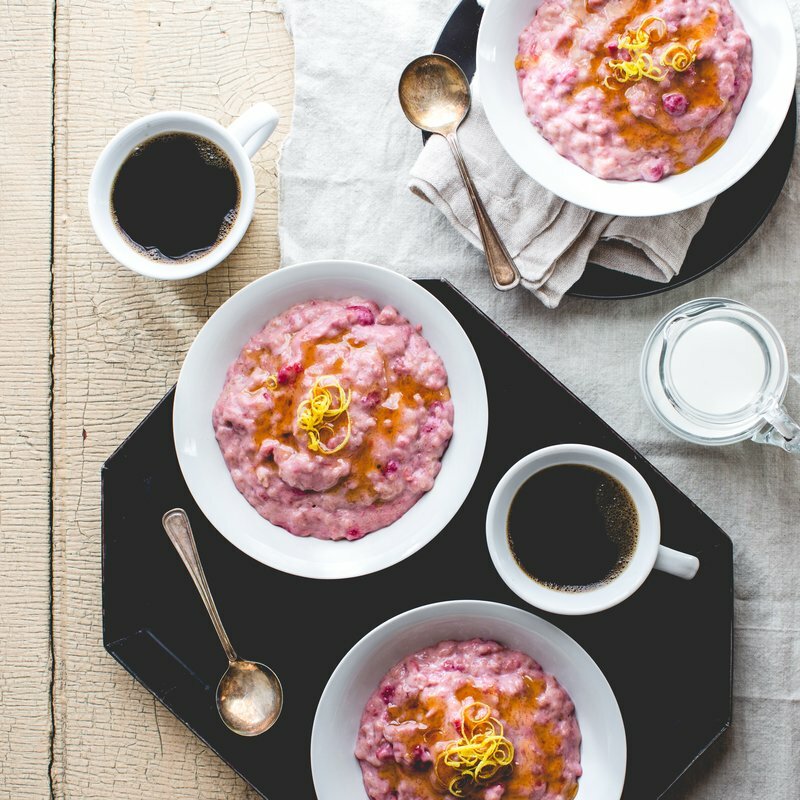 Made with apple juice, old-fashioned oats, salt, frozen raspberries, Cabot Lowfat Vanilla Bean Greek Yogurt, honey and lemon zest, Raspberry Lemon Slow Cooker Oats are a wonderful combination of sweet and tart, far from the bland oatmeal you may have grown up on. Conveniently made in the slow cooker, it’s easy to prep a batch on the weekend so you’ll be ready to heat up and eat a nutritious breakfast throughout the week. This raspberry oatmeal is a delicious breakfast you’ll look forward to getting out of bed for! Share the recipe with family and friends on Facebook, Pinterest, Instagram, and Twitter. To make 6 - 6 ½-ounce servings, whisk the apple juice, oats and salt in a medium (4 Quart) slow cooker. Set for 4 hours on low. When there is 1 hour remaining, add the raspberries, Cabot Lowfat Vanilla Bean Greek Yogurt, honey and lemon zest, stirring to combine. Cover and continue cooking until the timer goes off. Serve hot with additional honey, if desired. If making in advance for the week ahead, store individual servings in glass jars so you can just grab a jar in the morning, heat up and enjoy starting your day with a great breakfast. For another fruity, satisfying oatmeal recipe, try our Strawberries and Cream Oatmeal. 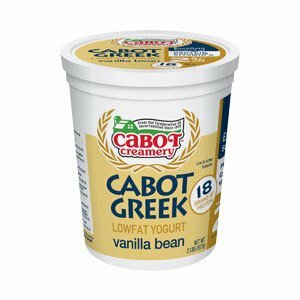 Cabot is a co-operative of over 800 farm families and has been producing award-winning dairy products for many years. We’d love to hear your feedback on this raspberry oatmeal, so please rate and review the recipe after you’ve tried it! WHISK apple juice, oats and salt in a medium (4 Quart) slow cooker. Set for 4 hours on low. ADD raspberries, yogurt, honey and lemon zest when timer has 1 hour remaining. Stir to combine. Cover and continue cooking until the timer goes off. SERVE hot with additional honey if desired.